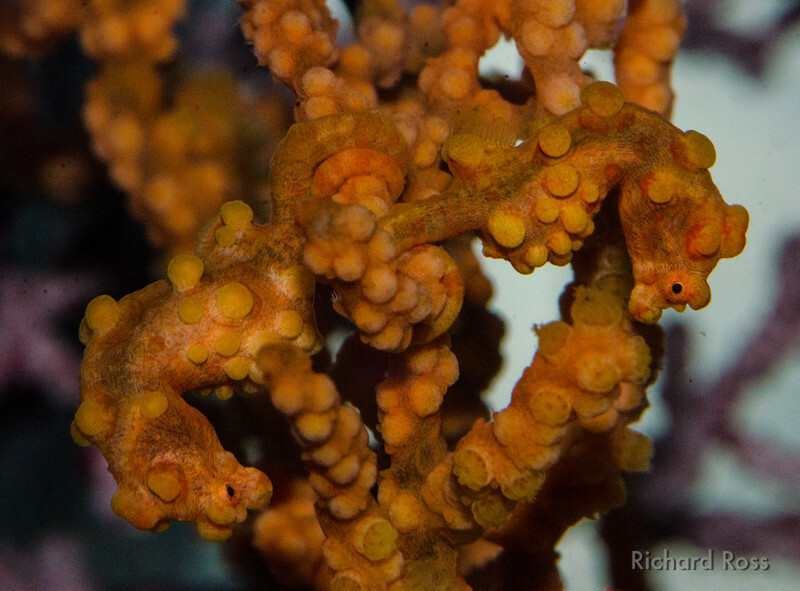 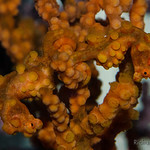 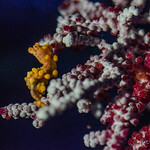 Male and Female Pygmy Seahorse on yellow sea fan, Muricella. 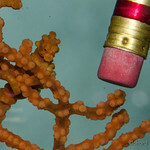 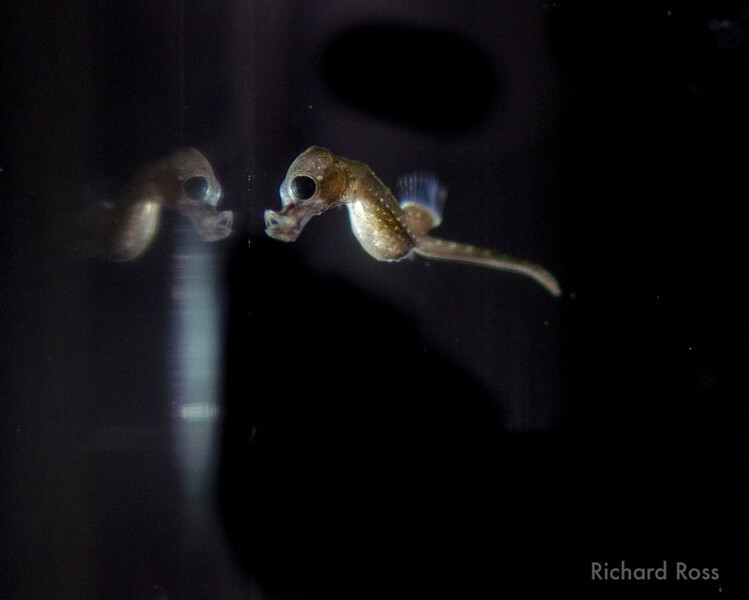 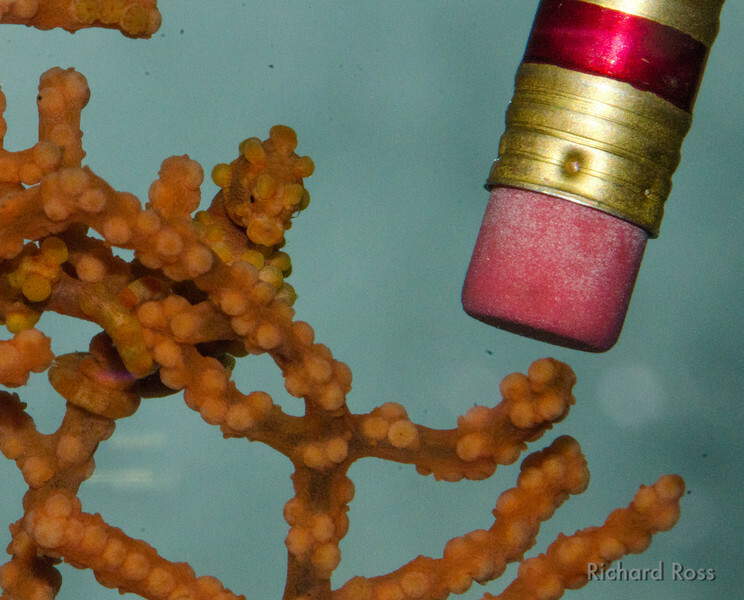 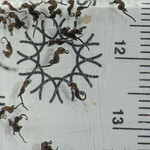 Many day old Pygmy Seahorse babies on Academy ruler. 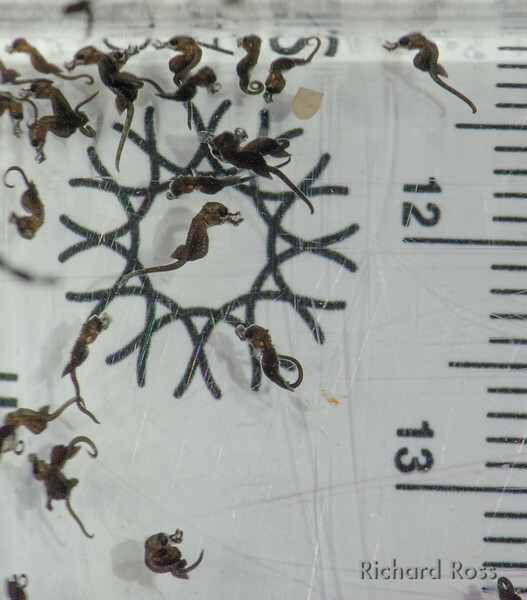 Scale is in mm. 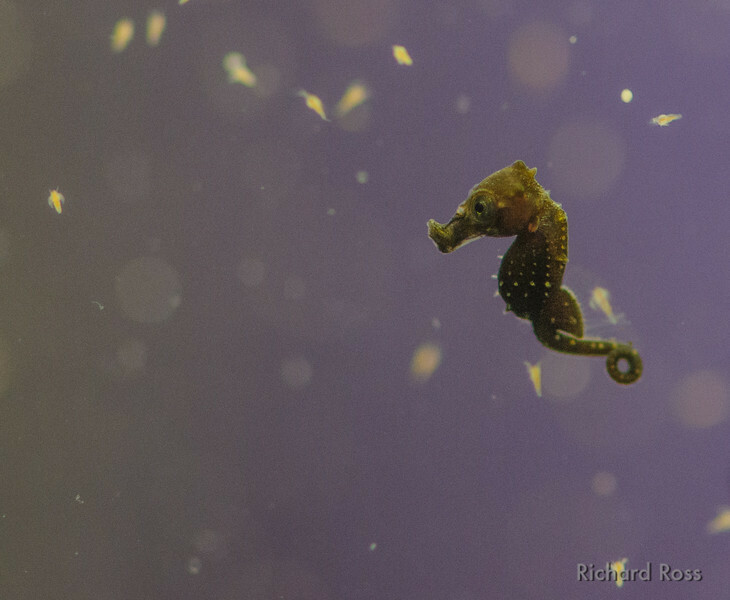 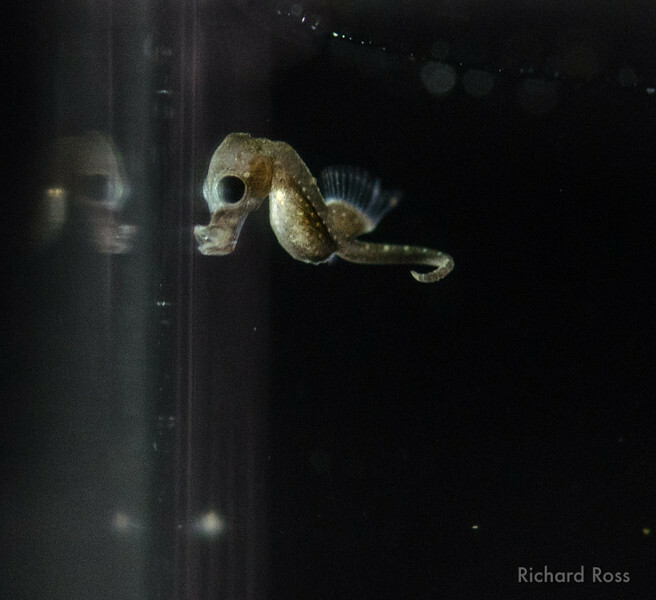 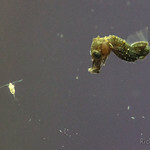 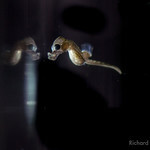 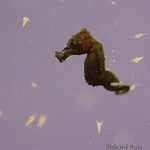 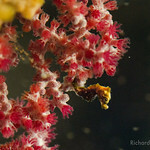 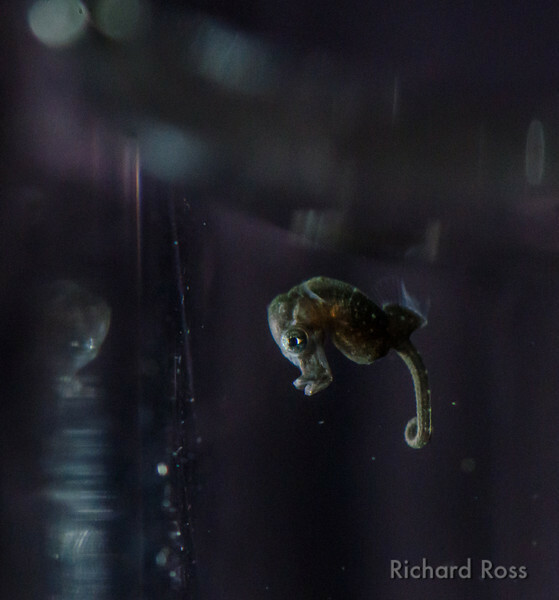 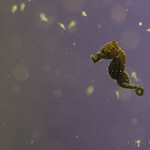 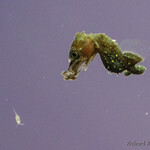 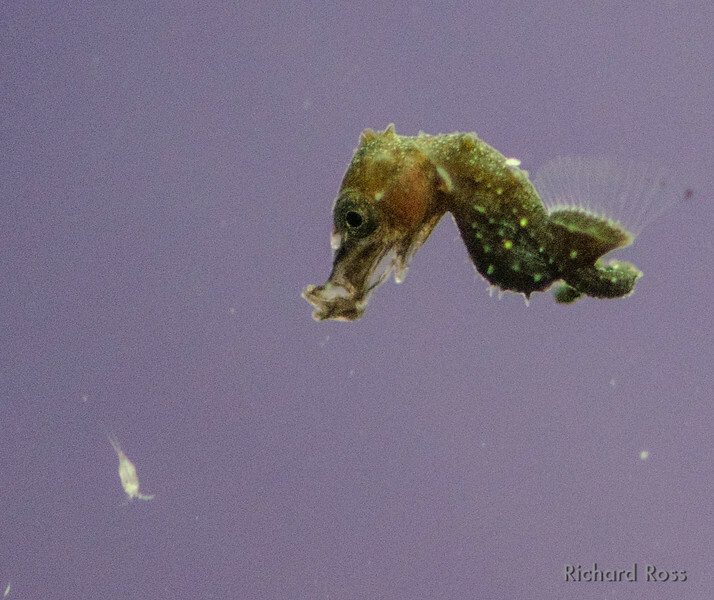 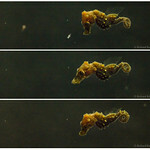 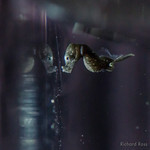 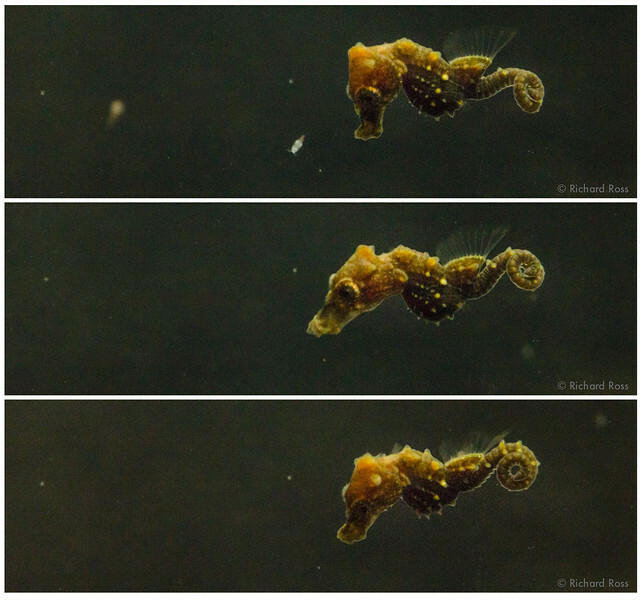 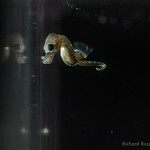 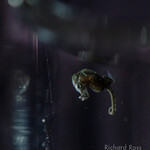 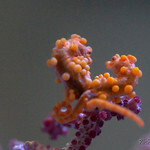 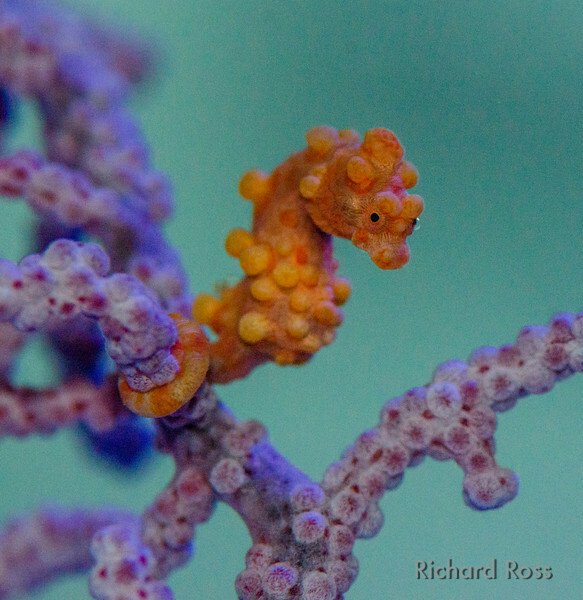 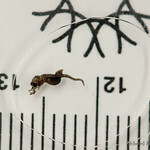 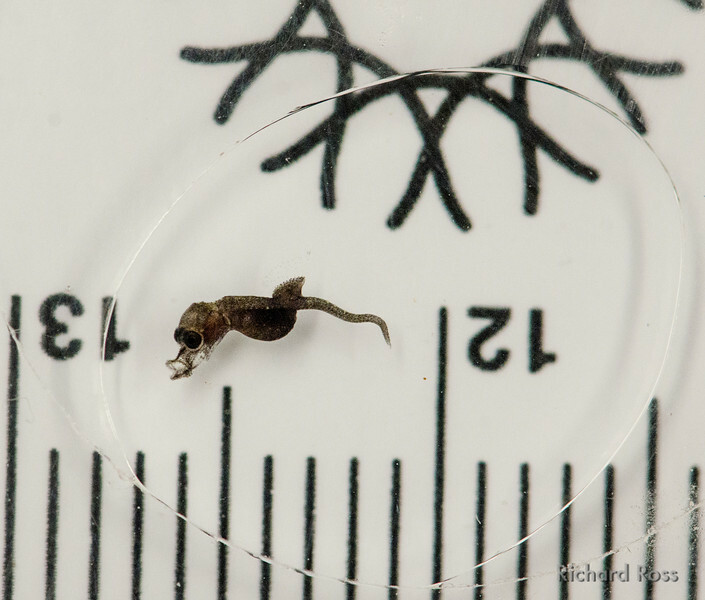 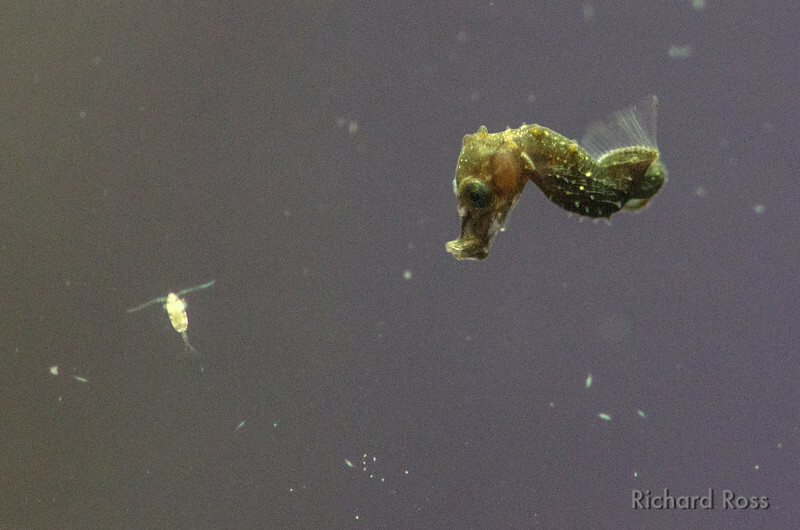 One day old Pygmy Seahorse babie on Academy ruler. 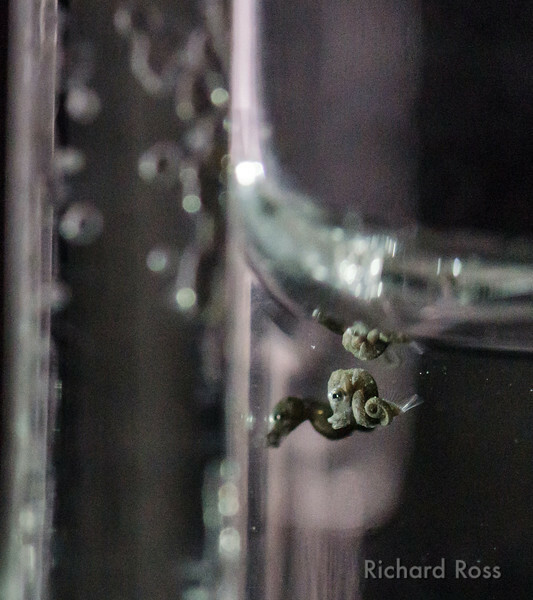 Scale is in mm. 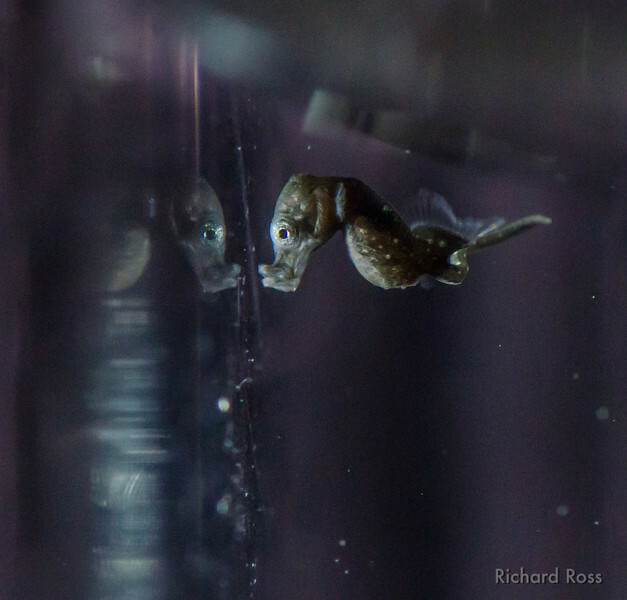 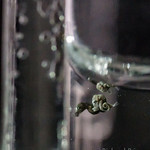 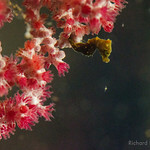 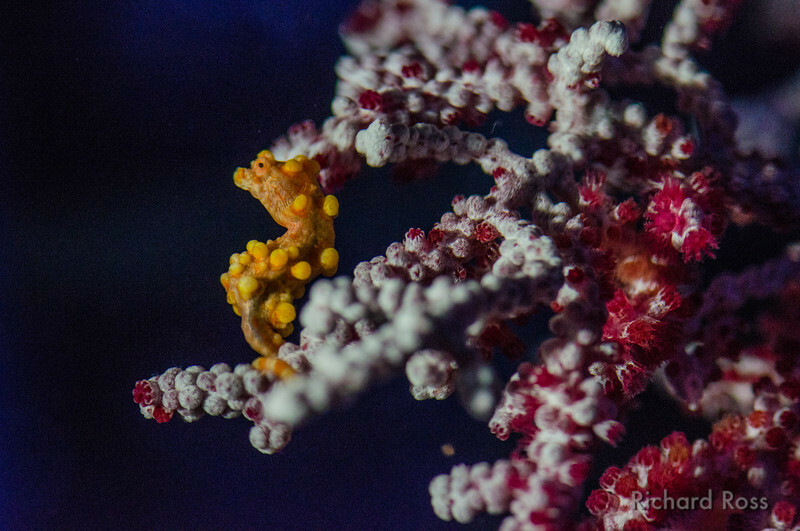 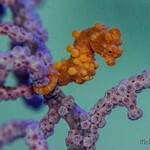 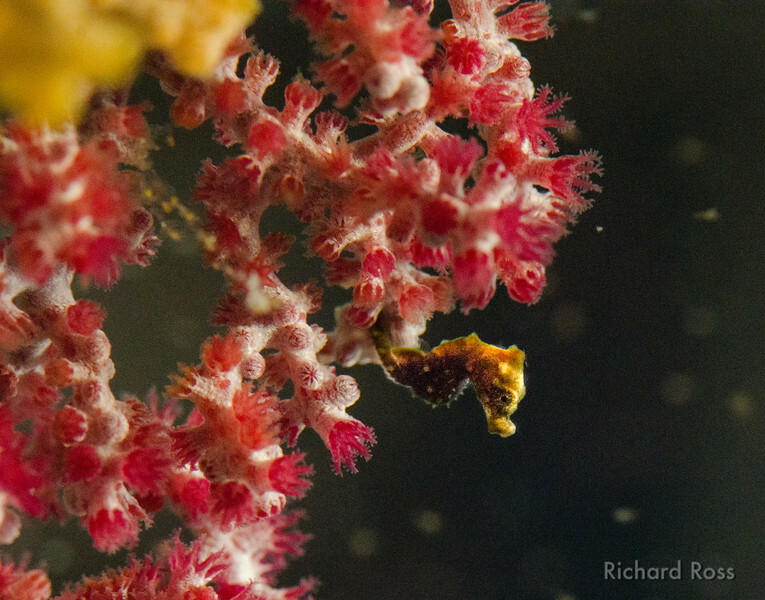 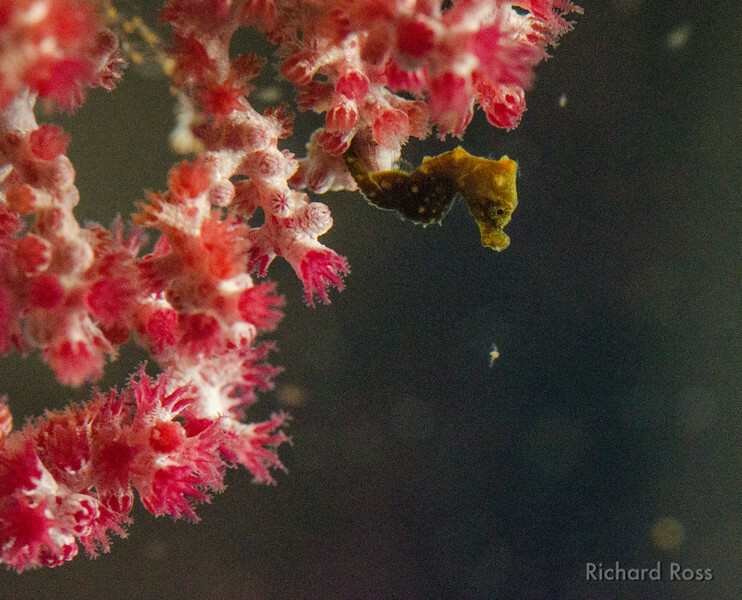 18 day old Pygmy Seahorse settled out of the water column and hitched to the coral. 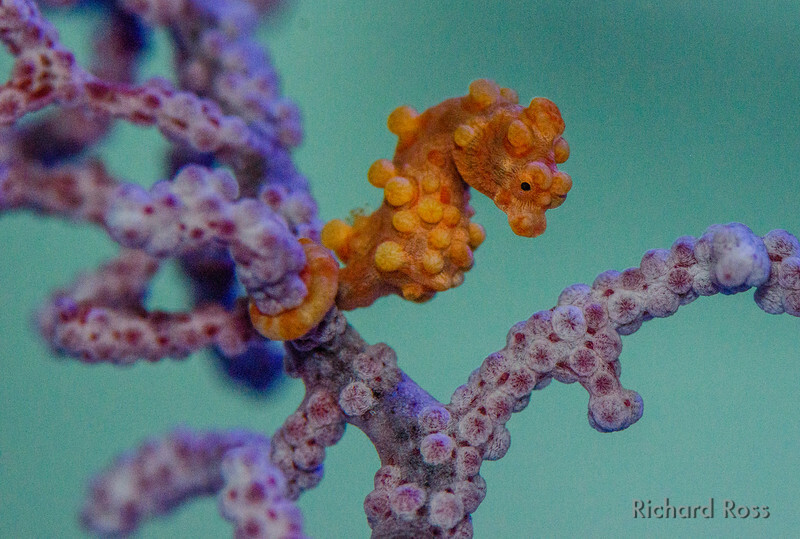 Awesome breeding project. 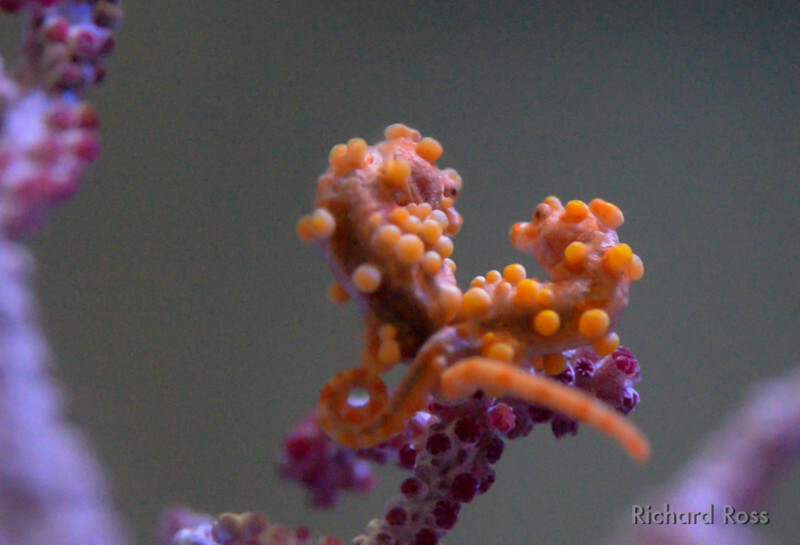 Well done and thanks for sharing!